Come join us for the release of Forum Magazine’s Fall 2013 edition! 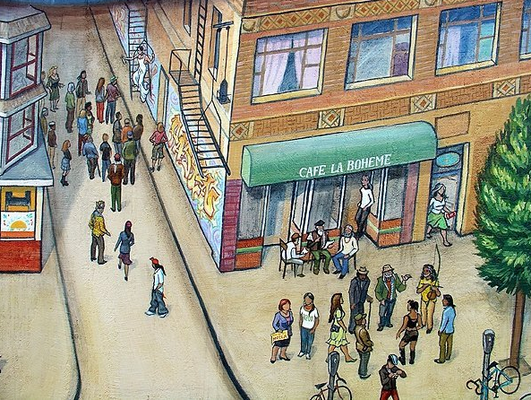 Come join us to purchase your Fall 2013 edition of Forum, share your work on the open mic, listen to the latest talent in the CCSF community, and enjoy all of the delicious food and drink the brilliant Café la Bohème has to offer. 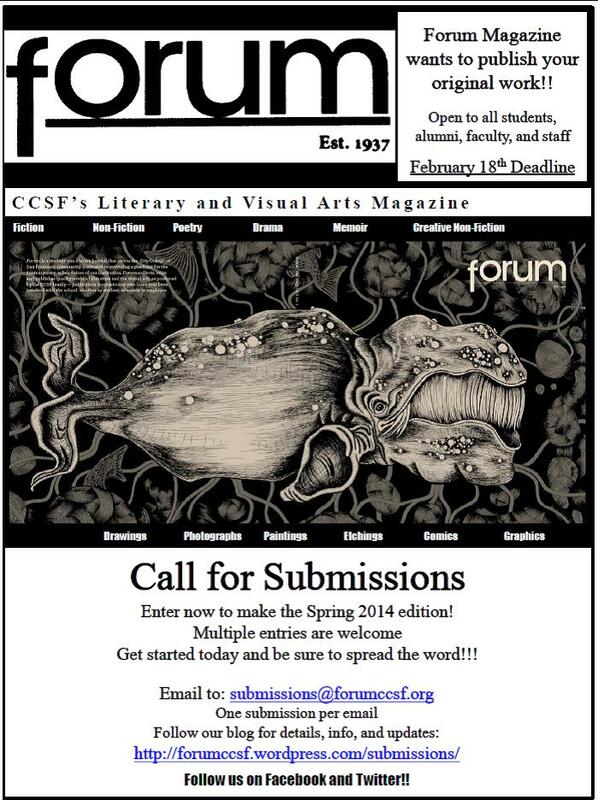 Forum is now accepting submissions for the Spring 2014 edition! We’re looking forward to another great issue thanks to your talented work. Please spread the word! Our Fall 2013 issue is out! 1. 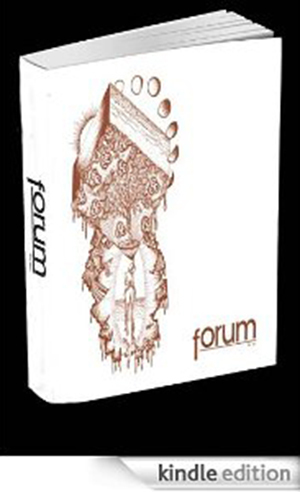 We want to meet you, fellow Forum readers! 2. Meet some of the wonderful contributors whose talents make up this issue. 5. Lastly, inspire or be inspired during our Open Mic.